Home \ Blog \ Leslieville and Riverside Real Estate : How did Boulton Avenue, De Grassi Street and Morse Street get their names? Leslieville and Riverside Real Estate : How did Boulton Avenue, De Grassi Street and Morse Street get their names? Boulton Avenue History : Streets namesake charged with living off of the avails of prostitution? Named after William Henry Boulton, lawyer, alderman for St. Patrick’s Ward, the first Orangeman to be elected mayor(1845–6, 1847, and 1858) and. MP1844–53. He became the deputy grand master of Canada of the Orange Lodge. Born into one of the most prominent families of Upper Canada, Boulton inherited “The Grange” from his father. He also owned 270 acres of land east of the Don, which he tried to sell for £5,000 in the late 1840s. Perhaps this was where Boulton rented a house to Daniel Bloxsom, a black Canadian, who was convicted in 1847 of keeping a “bawdy house,” and as a result, Boulton was charged with “living off the avails of prostitution.” Boulton appears to have been let off without a fine, but the newspapers and some of the aldermen were very hard on him, suggesting he rent the house to someone else. According to reports, Boulton replied that he would do what he liked. De Grassi Street: Alfio De Grassi never lived on De Grassi Street. Named for Alfio De Grassi,an engineer in the Toronto Fire Department and a deputy grand master of the Masonic Order, Toronto District. While he never lived on De Grassi Street, Alfio hunted and fished there. De Grassi Street has been featured in shows such as “The Kids of Degrassi Street,”“Degrassi Junior High,” “Degrassi High,” and most recently, “Degrassi: The Next Generation.” Many of the scenes were shot locally. We currently have a great house listed on De Grassi Street! Click here for info. 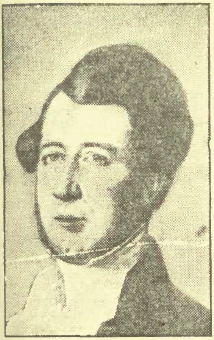 Morse Streets namesake George D Morse cattle dealer who drowned after slipping and hitting his head. Morse Street after George D. Morse, cattle dealer, who drowned in the bay or the Don River. As he tried to get out of the way of a train one night he slipped and hit his head, plunging into the river. Morse, a prosperous Toronto merchant, had come to Canada from the United States in 1836, began a feeding and cattle shipping business with two brothers, then in 1873,started the G.D. Morse Soap and Candle Works on three acres near the Don’s Grand Trunk Railway Station. By the 1870s he was shipping 1,000 boxes of laundry soap a week, along with all kinds of fancy soaps and thousands of boxes of candles a season. However, in 1877, he returned to the cattle business. At one time he owned the Chippawa Distillery and a 225-acre farm on Yonge Street. His prosperous-looking two-and-a-half storey gothic house, designed by the architect John William Stills, is one of very few pictured in an early illustrated book of Toronto. 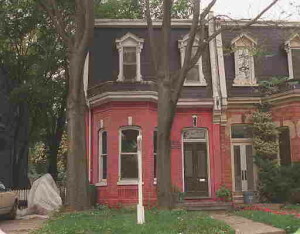 Recently, a Toronto real estate agent put 148 Morse Street up for sale, describing it as a two-storey home with a mansard roof that was built circa 1890, noting that it and most of that block were owned by George D. Morse. 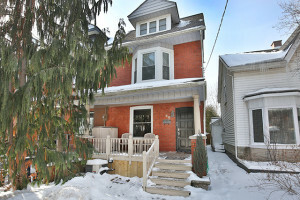 Leslieville and Riverside Real Estate: 68 De Grassi Street Just listed!